Bohurt quilted hood mark I. MEDIEVAL MARKET - SPES. This model of quilted hood was designed keeping in mind the needs of competitors in the group tournaments (bohurts) who care most about safety of the major parts of the body - head, skull base, neck and shoulders. This element gives great protection and amortisation with keeping full mobility. 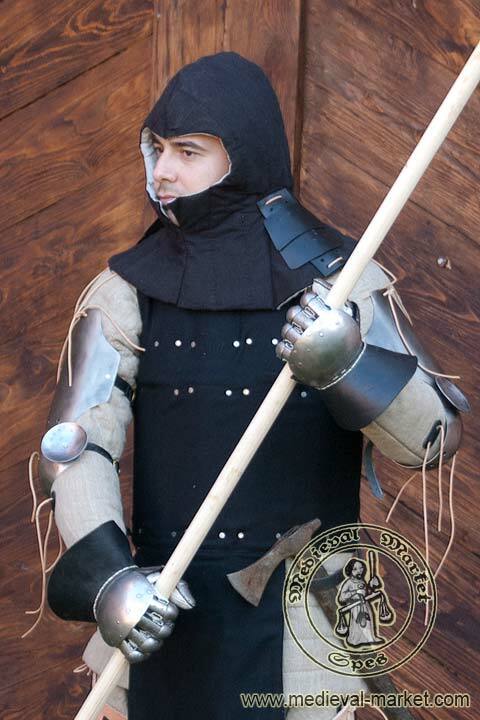 This product is perfect for using it in bohurt fights as well as in individual tournaments to reduce the risk of getting injured. It fits most of the helmets or chain mail hoods. This quilted hood has three additional steel reinforcement elements (on shoulders and neck). The hood is fully compatible with other products from HMB line. Quilted hood covers whole skull (except the face part), neck and part of the shoulders. The product is equipped with six double-sided mounting points (bindings) to attach additional steel shoulder, neck and skull base protectors. 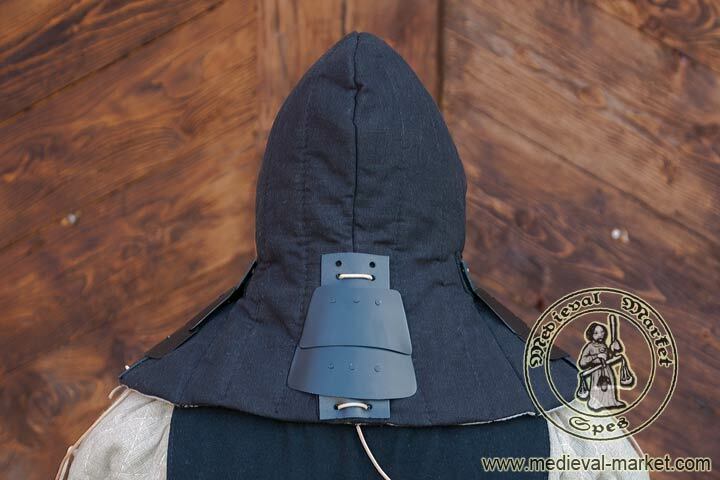 In standard option, this hood has double-sided bindings for mounting three steel reinforcements - two sets on shoulders and one on the back of the neck/skull base. 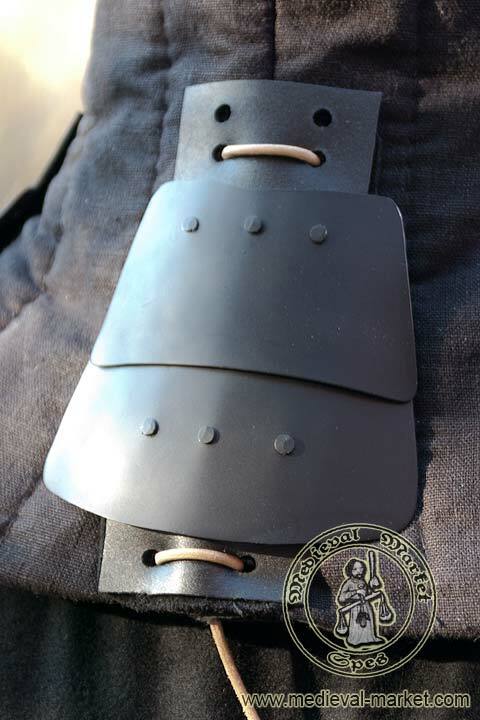 Each of three steel reinforcements (hardened spring steel 1mm thick - painted with corrosion-proof paint) is made of two specially shaped elements riveted to leather base (thanks to this they can bend). 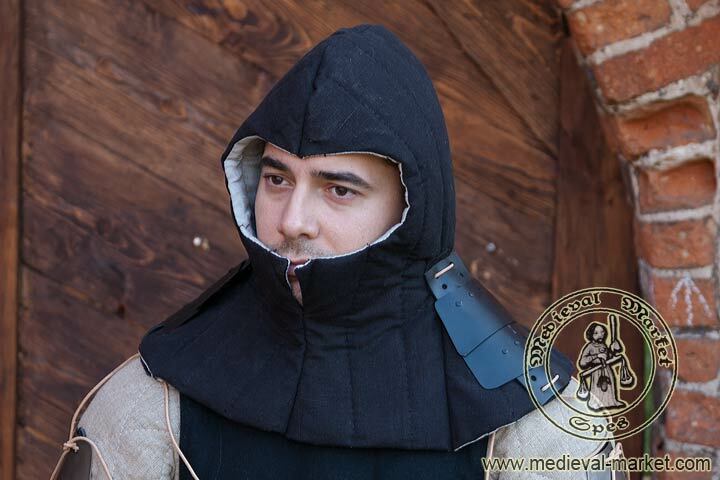 Reinforcements are attached to the hood with leather straps - it is possible to wear the hood without them. 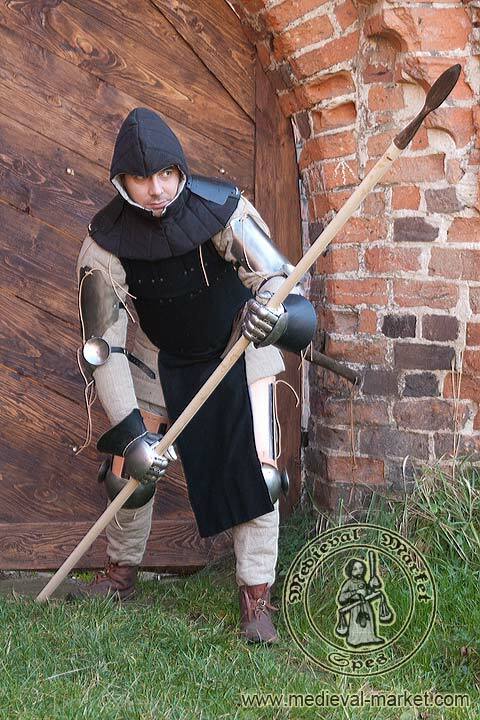 Depending on the needs of the user, reinforcements may be attached outside the hood or inside (and for example covered with chain-mail hood). 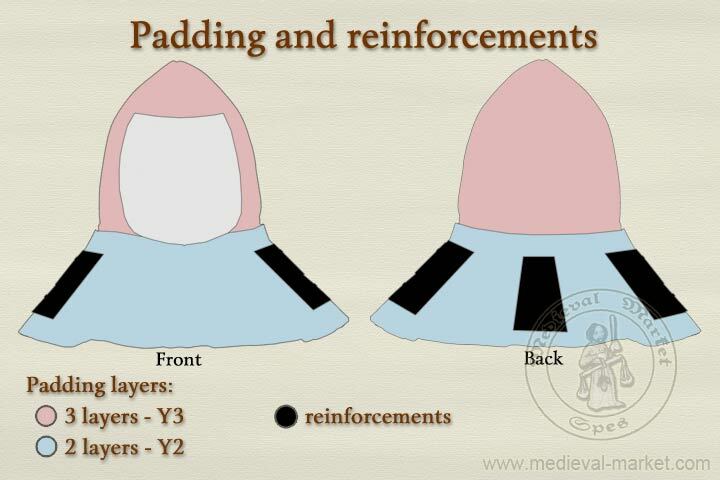 Thanks to additional holes and bindings it is possible to adjust the level of the reinforcements - depends on what type of helmet is in use.